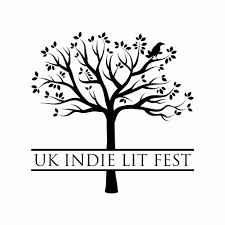 UK Indie Lit Fest is only in its second year but it has brought together some fantastic authors from all over the country and given people the chance to engage with authors across the world in the ‘International hub’. I was very kindly asked to attend as a guest blogger and I am buzzing with excitement for all the wonderful things that are taking place on the day. With over 40 authors attending this year you’re sure to find something of interest. Many of the authors are busy right now putting together workshops for you lovely people ready for anyone who is thinking of entering the crazy world of writing or publishing. There will be poetry readings (from yours truly) and many authors will be teasing us with passages from their tales and sagas. Not only do we have all of these amazing things going on but also it’s free, yes, free. And that’s not all! Your free ticket also doubles up as a prize draw ticket. To be in with a chance of winning a signed copy from an attending author get yours here! You can check out the authors that are attending here. Follow the action on Twitter. Lovely post! Look forward to meeting you, Kate!